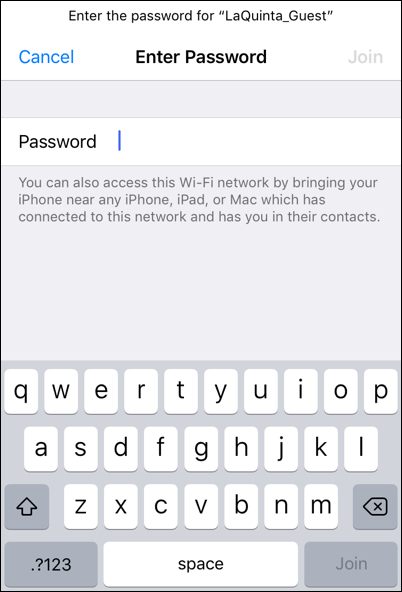 / How do you Share Wi-Fi Passwords via iPhone? 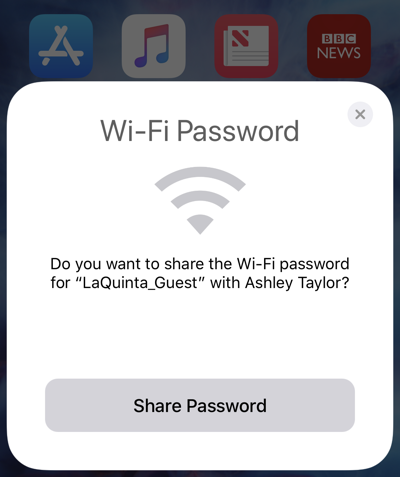 How do you Share Wi-Fi Passwords via iPhone? I hate logging in to new wifi networks and worrying about their increasingly obscure and hard-to-type passwords. I’ve heard that the iPhone has a password sharing feature? Can you step me through how it works? Among the zillion features that Apple has added to both iOS 11 (the operating system that runs on your iPhone and iPad) and MacOS X (the operating system on MacBooks, iMacs, etc) is password sharing. It’s not flashy and there are a bunch of requirements for it to work, but once you get the hang of it, password sharing is a pretty sweet feature. Log in on one device and it’ll let you share that password with any other device owned by someone who’s in your contact list. 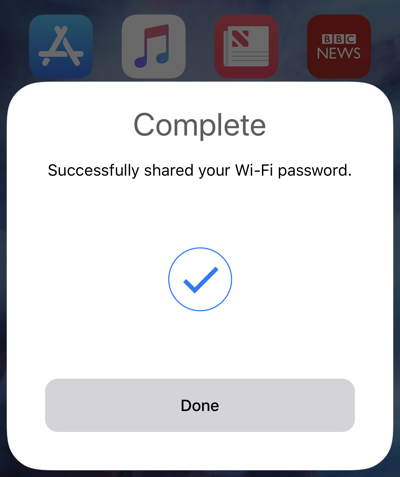 To start, here are the requirements for password sharing to work: All devices must have iOS 11 or newer installed, all must have both Wi-Fi and bluetooth enabled, the devices must be in close proximity to each other and, though I imagine this is obvious, the master device must be actively connected to the same wi-fi network the other device wants to join. And the most important of all: You must have each another in your Contacts list. It’s that last one that prevents random strangers from snagging wifi passwords from your own device. A tap on “Join” and she’s on the network, no password entry required. That’s it. Surprisingly easy once you get all the requirements figured out. My guess is that this popped up because my iPhone and MacBook are pretty tightly connected with remote text messaging, remote phone services, etc, but whatever the scoop, it’s darn handy! Pro Tip: While you’re here, I invite you to check out our extraordinarily extensive Mac help and iPhone help areas!